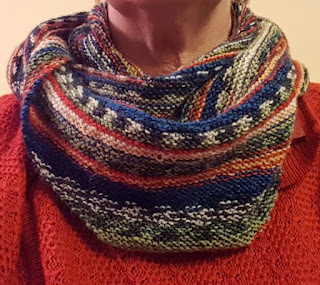 Last year I made this cowl out of three balls of Italian sock yarn. Every time I wear it customers ask me where I got if from or how was it made. So over the last three weeks I have been making another one using Naturally Boho Sock yarn which is a 3 - 4 ply on size 2.75 needles. Yes I know - its sounds time consuming and on small needles!!! 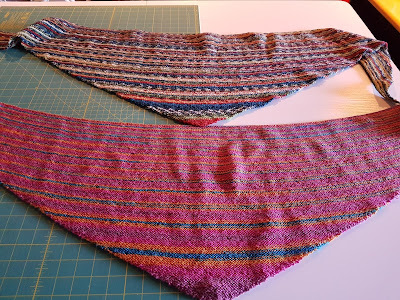 Its just one of those projects you can pick up any time and knit without having to know where you are up to in the pattern and its all in Garter Stitch. Here is my very simple pattern. Row 2 and every other row Knit, increase in the first stitch and into the last stitch of EVERY row. Repeat row 2 until work measures 37cm from the centre (cast on row to the top). 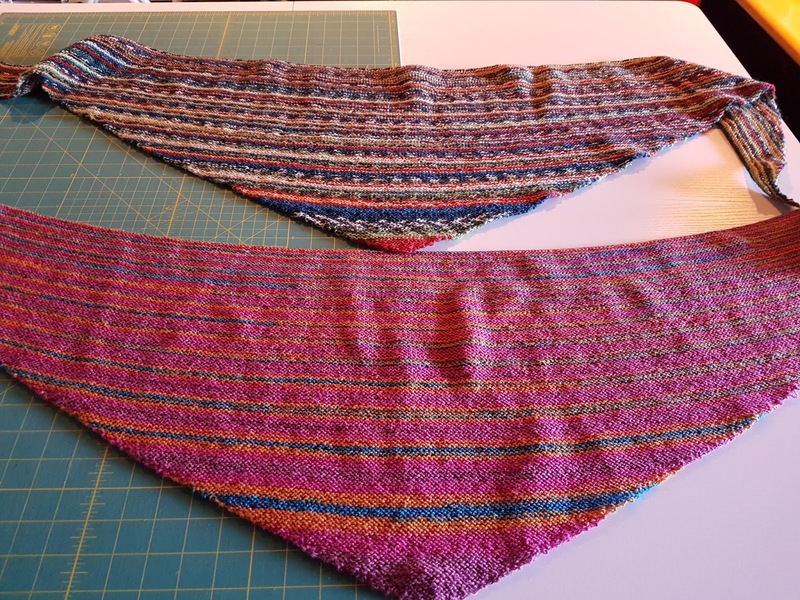 Knit 3 rows without increasing. You should have approximately 375 stitches (give or take a few that you may have forgotten to increase). Here is how you wear it. Then over your shoulder and around your neck again. Both ends are in front. Bring the end to the shoulder Tie ends into a knot. 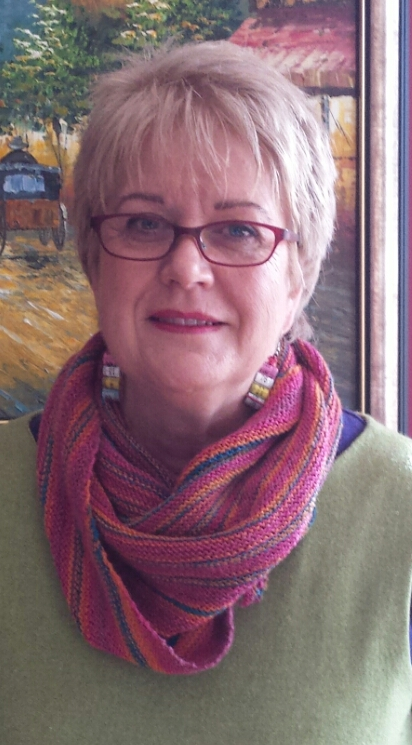 The Knot is on your "starting shoulder"
Place large section of your cowl over the knot to cover it. Enjoy its warmth along with the decorative interest sock yarn can give. You can knit this in a larger ply though you may need to make some adjustments. The full length between points is 164cm. I used circular needles with a 120cm cable. You need 150gms of sock 3-4 ply sock yarn. If you are in the Wellington Region (New Zealand) this cowl will be displayed by Wellington Sewing Centre at the Craft and Quilt Fair 8 - 10 September at the Te Rauparaha Arena, Porirua.